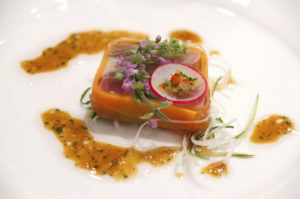 From casual and relaxed to elegant and sophisticated, Mawa’s Kitchen is the premier Aspen Wedding Planner and can plan a wedding to meet your style, your budget, and your vision. Below is an outline of the process for organizing your wedding with us in the beautiful hills of Aspen Colorado. As Aspen Colorado’s premier Aspen Wedding planner we start the planning process by meeting with you to understand your vision and requirements for the day. We want to know about the style of wedding you want, the venue, the number of guests, and the budget. This enables us to put together menu options and identify equipment and service requirements in order to prepare a thorough quote for you. We can also pencil in your wedding date at this point. While your date can’t be confirmed until a deposit is received, if you are penciled in we will let you know before we book anyone else for that date. 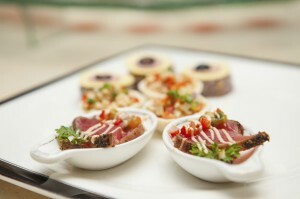 We go through a process of reviewing and refining the menu and quote with you to ensure it meets your requirements. Once you are happy with the quote we require a 10% deposit to secure your date. Closer to the day, we will meet with you again to work through detailed logistics including final numbers, seating plans, table settings, and timeline. We will also visit the venue if it’s somewhere we haven’t worked before. On the day, the team will arrive early and work with meticulous attention to detail to ensure the venue looks good, and guests are happy. There will be a Supervisor on-site ensuring everything goes according to plan. 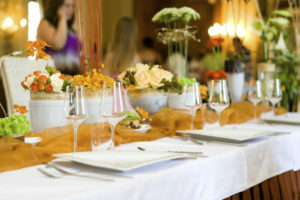 The Supervisor is also on call for the Bride and Groom to help with anything that comes up, food related or otherwise. Seven days before the wedding date a further 40% deposit is required. Once the wedding is complete, the team will pack up and clean up for you, including removal of any rubbish and recycling. Within a couple of days we will be in touch with you to ensure you enjoyed the day, and to provide you with the final invoice. to be perfect for her. If you’re feeling overwhelmed or you just want to add a professional touch, we can help. 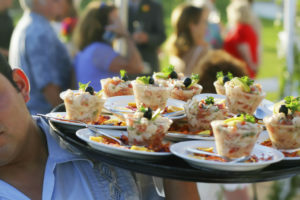 provide catering and staff services. Call us now to learn more about our Bridal Shower services. Need a weekend away with the girls before you get tied down? Let Mawa’s Kitchen take care of you before that long walk down the aisle. This is an experience you will never forget! As the wedding countdown begins, grab your friends and let Mawa’s Kitchen make sure you and your friends have an unforgettable time. Reserve our Tasting Room. The night before the wedding, the last thing any member of the wedding party should have to worry about is the rehearsal dinner. This is a time for the wedding party to get to know each other and enjoy some time away from all the stress of the wedding. With Mawa’s Kitchen in Aspen Colorado helping to plan the rehearsal dinner, all you’ll have left to worry about is your toast to the happy couple!